Saikat Majumdar is a writer and an academic. He teaches world literature at Stanford University and is the author of three books. His most recent publication is the novel, The Firebird (2015), which tells the story of the vanishing world of Indian popular theatre as seen through the eyes of a young boy and his actress mother. The novel debuted through excerpts in The Kenyon Review and World Literature Today and has gone on to become one of the most widely acclaimed contemporary works of literary fiction in India. 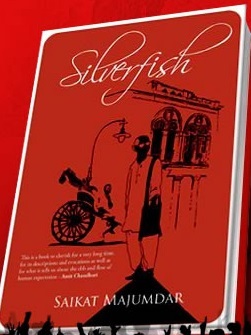 He is also the author of a study of English as a language of world literature, Prose of the World (2013), described by the Modernist Studies Association as “a spectacular adventure in literary criticism.” Saikat’s first novel, Silverfish (2007) was set in British-ruled Bengal and late-twentieth century Calcutta. Saikat’s work has been discussed widely in publications worldwide, including The Times Literary Supplement, The Los Angeles Review of Books, Chinese Social Sciences Today – the publication of the Chinese Academy of Social Sciences, and in leading Indian news venues such as The Hindu, Outlook, and The Indian Express. His scholarship has appeared in major journals and collections, such as The Cambridge History of the Indian Novel in English, PMLA: Publication of the Modern Language Association of America, NLH: New Literary History, Modern Fiction Studies; and his non-fiction and criticism has appeared in mainstream venues such as The Times Higher Education Supplement, The Times of India, The Sunday Guardian, The Hindustan Times, Caravan, Public Books, and American Book Review. Saikat has been awarded fellowships from the Andrew W. Mellon Foundation and the University Grants Commission of India, and grants from the Stanford Humanities Center. He has been a visiting fellow and faculty member at the University of Delhi and the Jawaharlal Nehru University, and currently serves as Visiting Professor at Ashoka University in Delhi. The ability to learn as well as to unlearn ceaselessly; to keep imagination forever on the edge; to balance consistency with endless reinvention of one’s self. But it’s not about being ‘the best’ or better than others; rather about speaking to other people, being in conversation with them, move, delight and instruct, often at the same time. Touch the lives of others in a really meaningful way. Telling a good story; writing a beautiful sentence; getting a complex point across in class. A great moment was the successful completion of The Firebird, the richly painful story of a boy growing up in a traumatic relation with a viscerally compelling art form. Fatherhood brought some intense challenges. The needs of children appear fundamentally alien and irrational to adults as we forget too quickly what it means to live life that primally. But that bare, intense, messy life, one soon comes to realize, is the gold standard for the artist, the philosopher, the teacher. Unforgettable literary characters, of course! Real life? My family, the amazing teachers who have pushed me in bold directions; amazing students from around the world who have taught me so much. Great, musty libraries and funky bookshops. The city of London; the serpentine lanes of Calcutta and Benaras. Harlem in New York City. Thinking and writing about liberal arts education.